Join the national peak body for settlement in Australia! The Settlement Council of Australia invites your organisation to become a member today and join Australia’s leading settlement agencies to help ensure effective outcomes for migrants and refugees settling in Australia. By becoming a member you will strengthen the settlement sector’s influence with government and a variety of key stakeholders, and have access to a range of member benefits. At SCoA, our goal is to support our members in their work to ensure the best possible outcomes for migrants and refugees settling in Australia. To achieve this we provide a strong and cohesive voice for the settlement sector through our ongoing advocacy and lobbying activities, supported by a range of initiatives aimed at building collaboration and highlighting best practice and innovation in the sector. 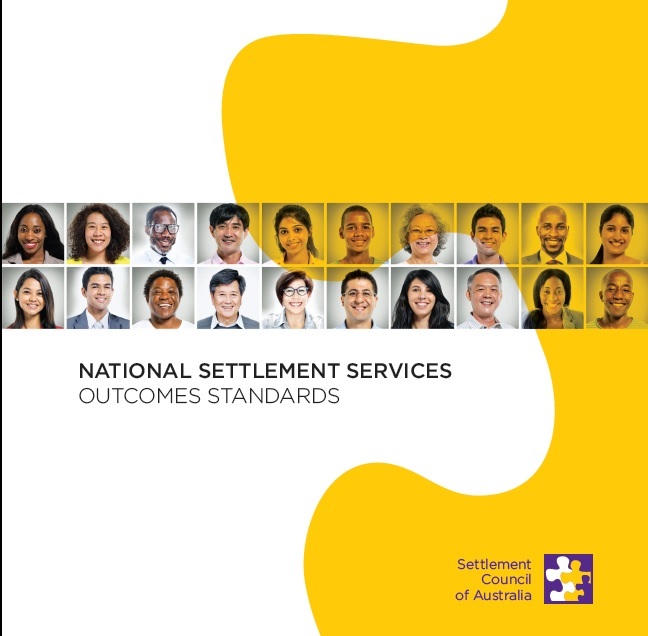 2018-19 was a successful year for SCoA, with the delivery of the National Settlement Service Outcomes Standards (NSSOS) Workshops and Employment Innovation Forums across Australia and consistent advocacy and lobbying to government on a range of issues important to the sector. You can see the highlights of our achievements and activities between July 2017 to June 2018 here. Leadership: SCoA provides strong leadership for the sector, promoting effective settlement outcomes and the contribution of the settlement sector in achieving those. Representation: Increasing our representation on behalf of the sector to influence key policy and program design. Collaboration and Capability: SCoA fosters and strengthens collaboration in the sector, assisting member organisations to understand and implement the NSSOS and to share best practice and innovative solutions with regard to key indicators. We invite you to become a member and join us for 2018-19 by filling out this application form. Please complete the form and send it back to SCoA. Once we receive the form, we will send you an invoice and instructions for payment. If you would like more information please contact mso@scoa.org.au or your State Representative or call 02 6282 8515. Membership of SCOA is open to organisations that are contributing substantially to the settlement and participation of migrants and refugee to Australia. SCoA’s goal is to ensure that all organisations contributing substantially to the settlement and participation of migrants to Australia and particularly those of refugee background, however large or small, wherever their location in Australia, are represented by SCoA in national settlement policy development and planning frameworks, and are supported to contribute to successful settlement underpinned by national best practice standards. SCoA is a representative peak body for the settlement sector. It represents organizations whose activities are dedicated to the settlement and participation of migrants including those of refugee background, and whose activities fall within the key priorities identified in the National Settlement Services Outcomes Standards (NSSOS). that delivers services to assist migrants and refugees in their settlement in Australia across at least 5 of the 9 priority areas identified in the NSSOS. Agencies that deliver services in up to 4 of the 9 priority areas identified in the NSSOS. National peak bodies with a similar or complementary aim to SCoA. Membership fees are set on a sliding scale determined by your organisation’s annual income. To inquire about becoming a SCoA member, please email at ceo@scoa.org.au or contact here. To apply for membership, please complete and the membership application form. Outlined membership fees are available below. Download SCoA Achievements and Activities 2017-2018. Meet SCoA’s staff and Board. Contact your state representatives to discuss about membership. Find out more about SCoA members.